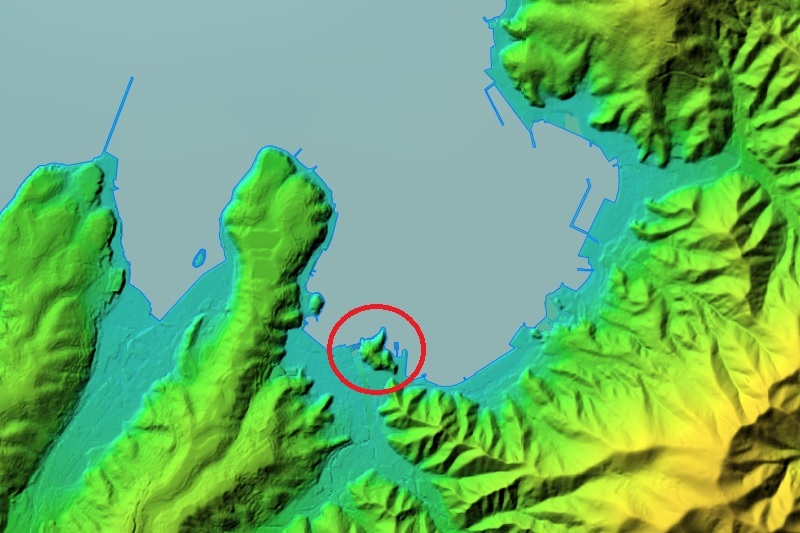 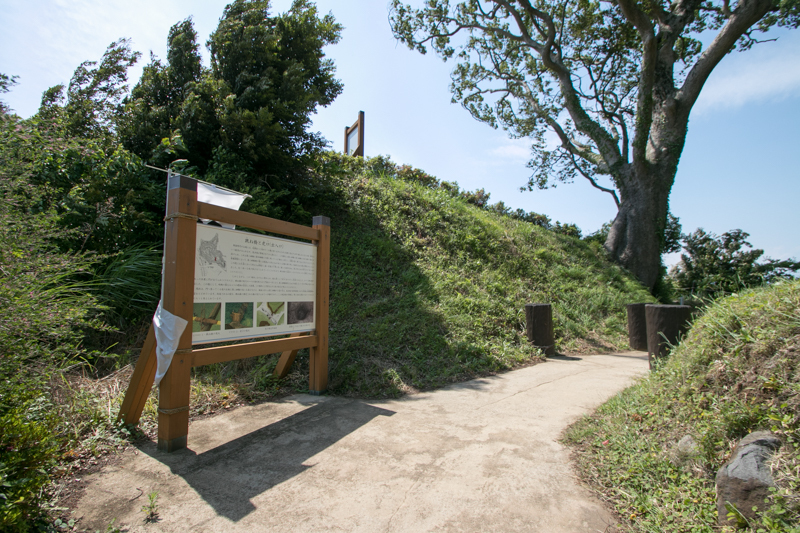 Nagahama castle (長浜城) is located on a small hill in Uchiura area of Surugawan bay, at the south edge of current Numazu city. 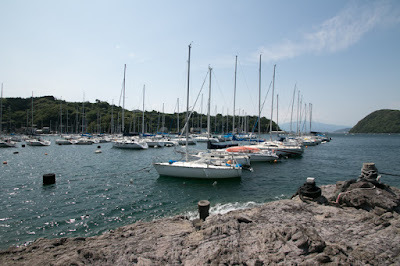 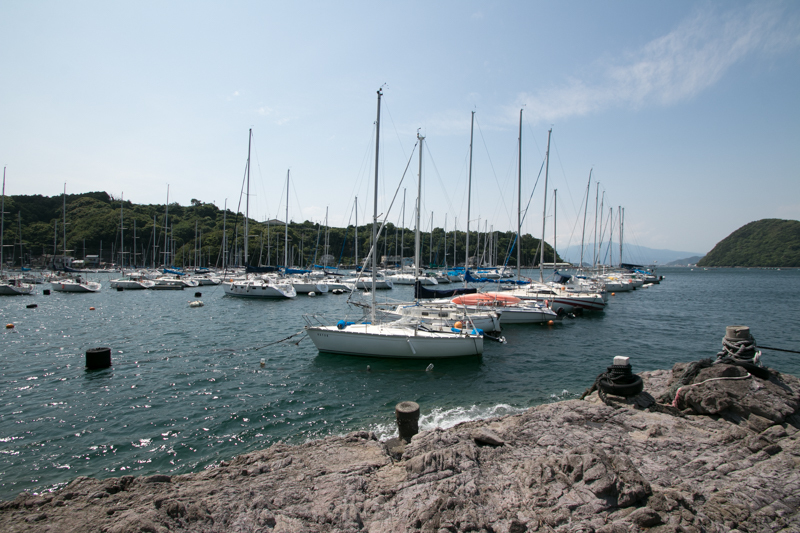 Ucniura area is a area in which deep sea directly adjorn to the land, and it is suitable as anchorage place. 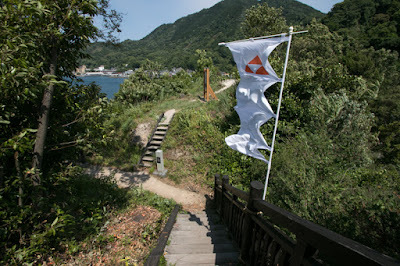 In 1570’s, Hojo clan, a warlord of Sagami province (Kanagawa prpefecture) held Izu country (current Izu peninsula), and Takeda clan, the one of Kai country (Yamanashi prefecture), kept Suruga province (middle part of Shizuoka prefecture). 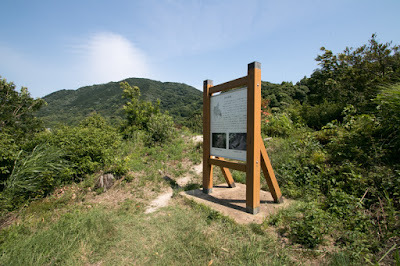 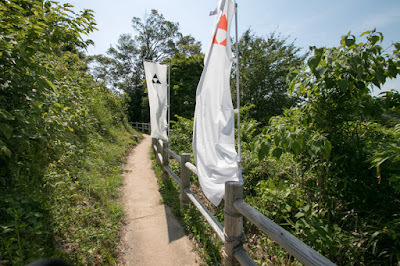 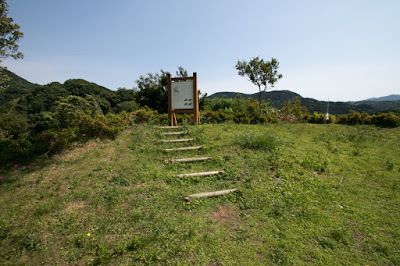 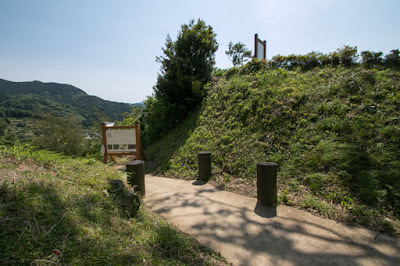 Originally they made alliance, but concerning the response to Otate no Ran (Battle of Otate), an internal war of Uesugi clan at Echigo province (Niigata prefecture), Hojyo clan and Takeda clan broke up and entered into the total war. 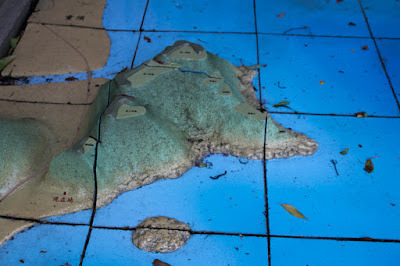 Around Suruga bay, other than land battle, sea battle between both naval ships were held. 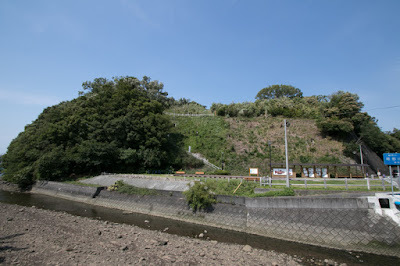 After the occupation of Suruga province in 1569, Takeda clan grew their navy succeeding former Imagawa navy at Sanmaibashi (Numazu) castle and invited naval commander from central area. 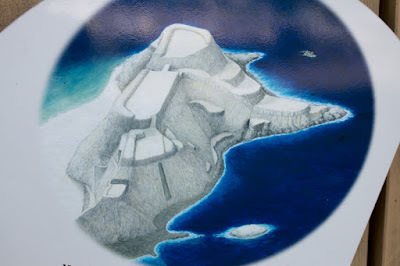 To grasp the mastery of the sea, it became possible not only to obstruct military operation of enemy, but also shut the commercial transport (due to unskilled navigation technique all ships had to go along the coast), or perform command operation by ship to the territory of the enemy. 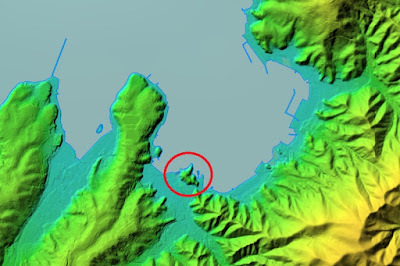 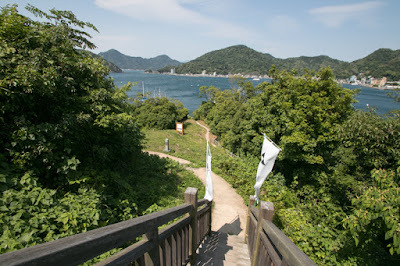 On the other hand, Hojo clan faced Tokyo bay, and had a fierce naval battle against Satomi clan, a warlord of Awa province (southern part of Chiba prefecture) at the opposite of the bay. 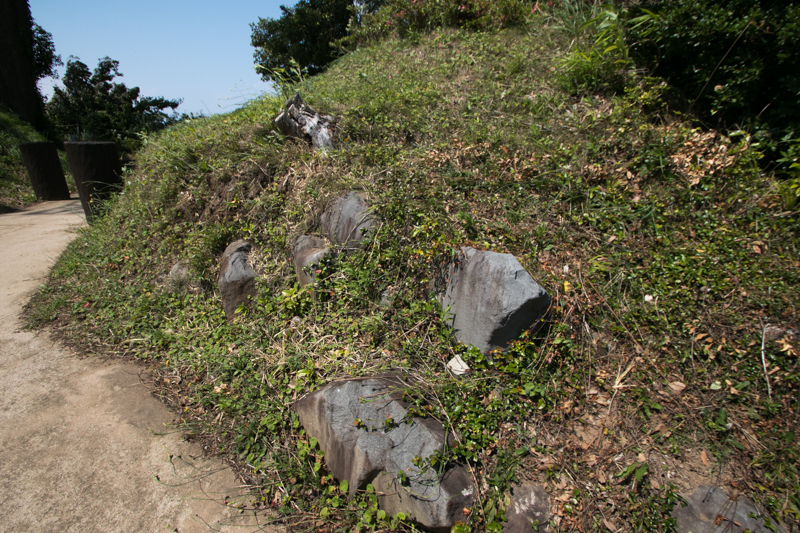 But in later 1570’s, Hojyo clan let Satomi clan to yield to them, thus they could move their ships to Surugawan bay. In 1579, Hojo clan newly built Nagahama castle as their base, and appointed Bizennokami Kajiwara, a naval commander of the clan, as a general of this castle. 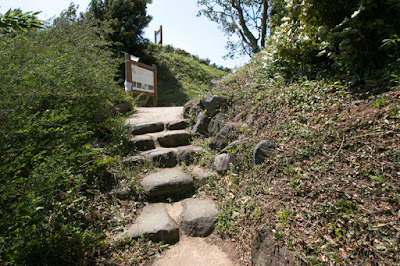 Even though a small castle of about 100 meter length, Nagahama castle was built by the latest technology of Hojo clan. 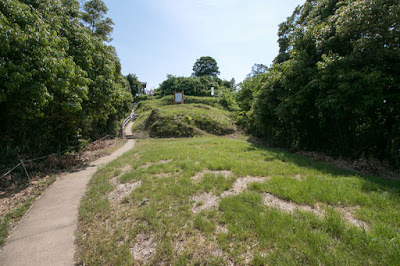 Terraces were built along the ridge of the hill, and central area were guarded by clay walls. 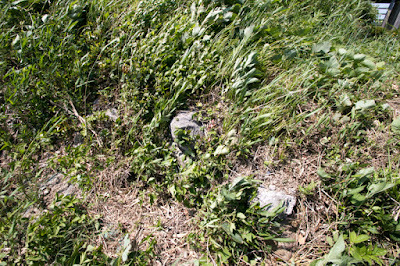 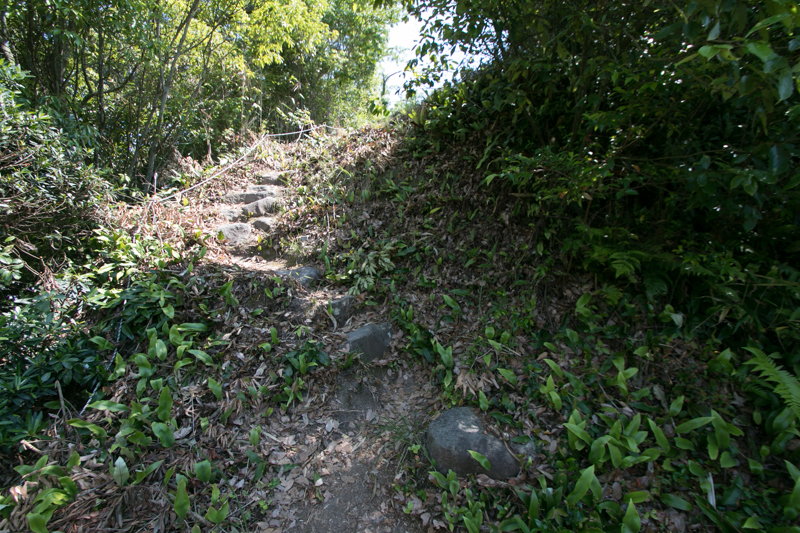 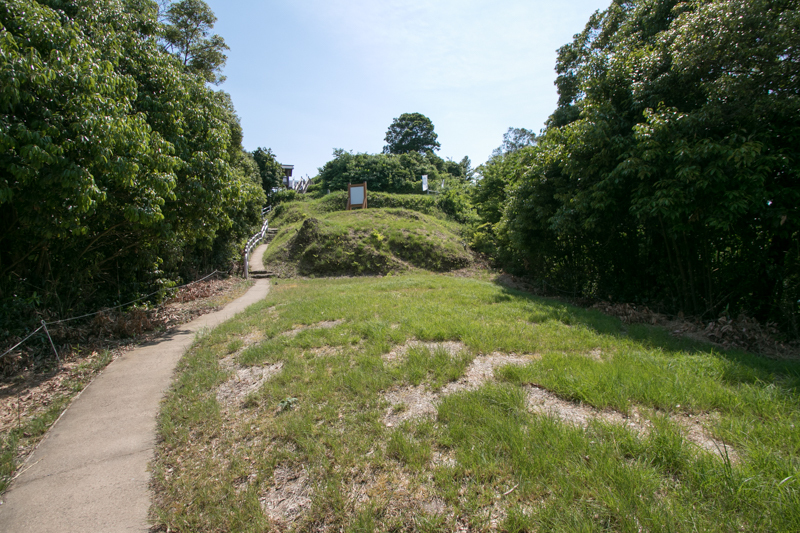 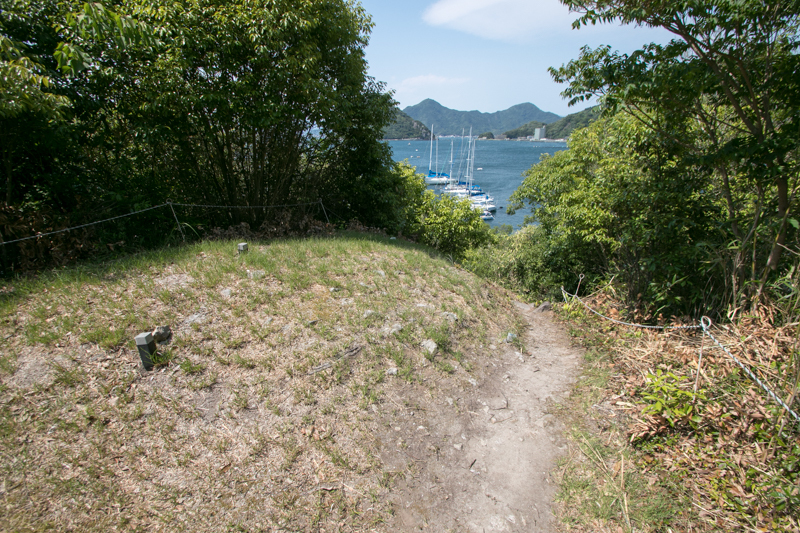 Between secondary area and third area there was a main gate with zigzag path, not to let enemy soldiers directly slash into the castle. 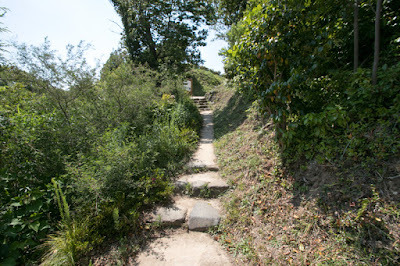 Moats were built by digging rock of the hill, and important gate were guarded by low stone walls. 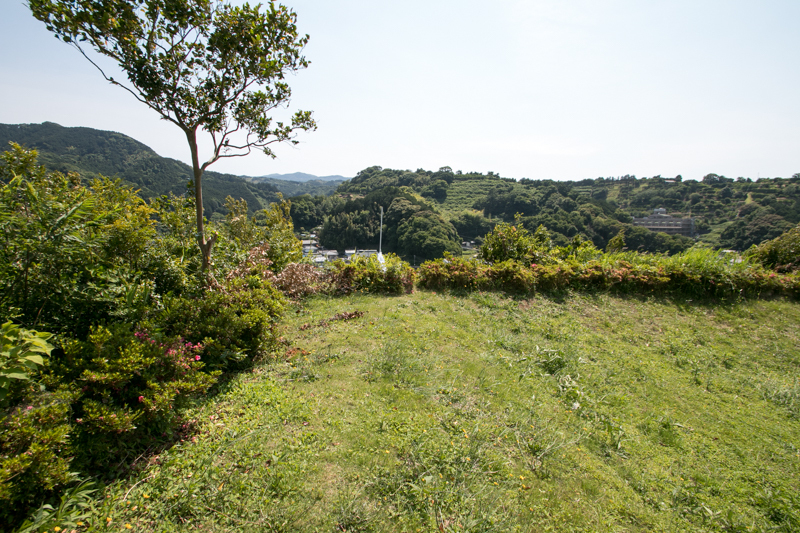 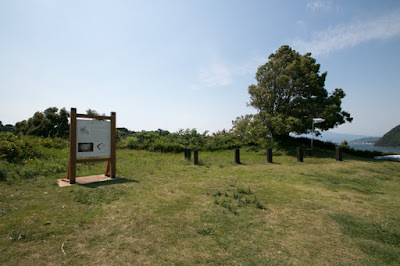 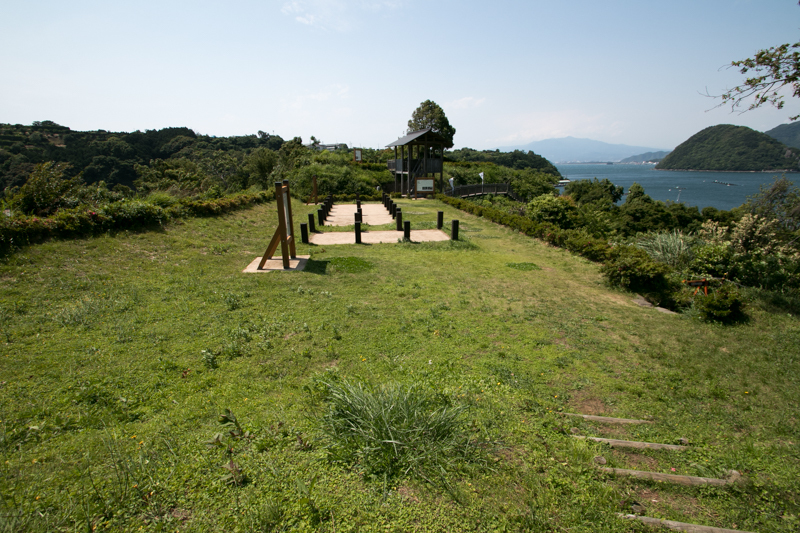 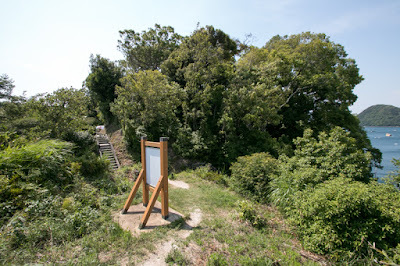 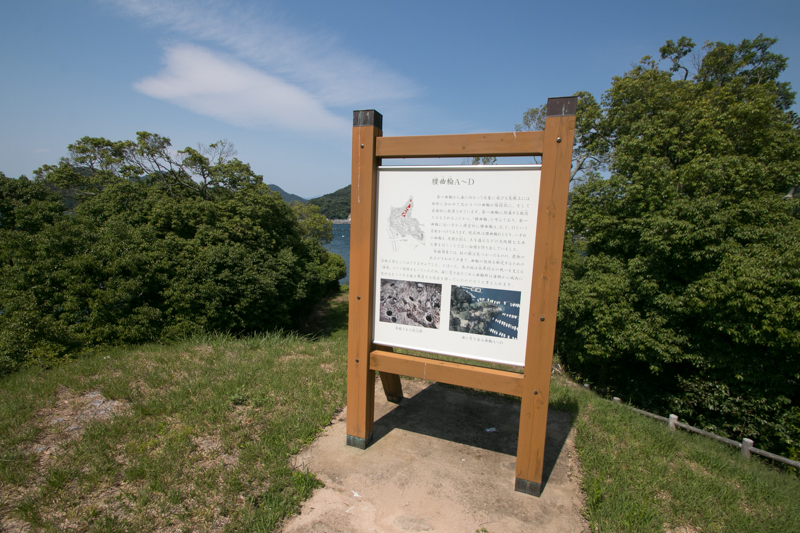 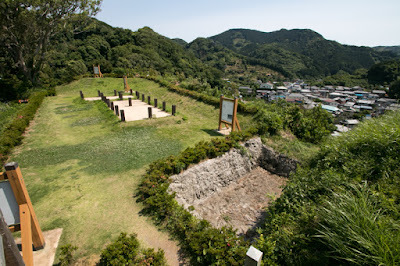 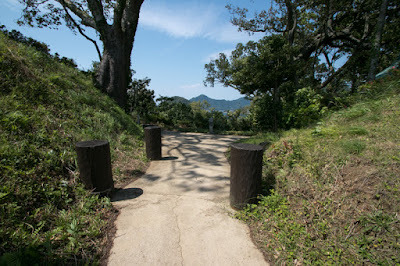 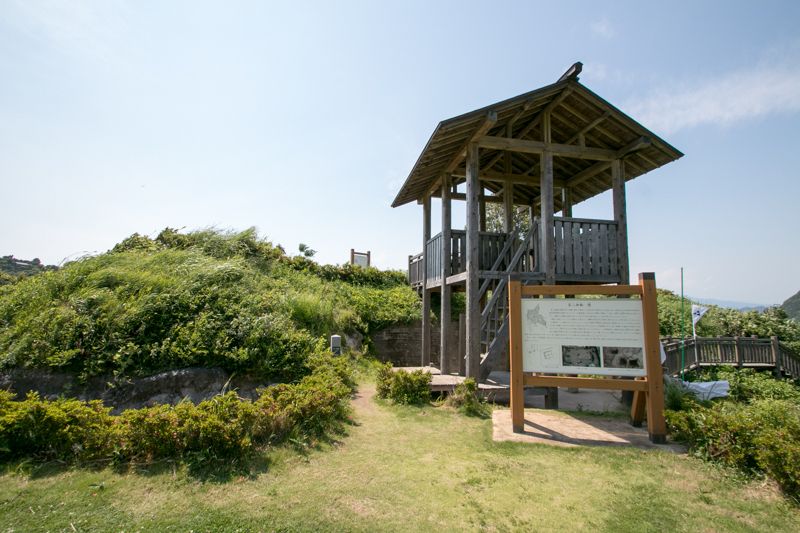 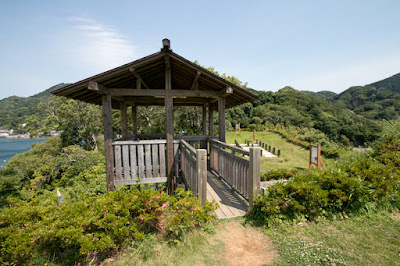 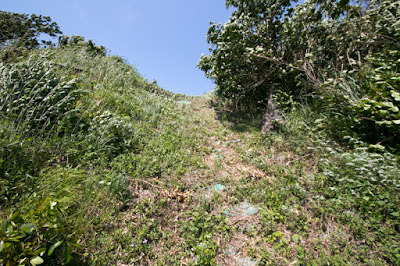 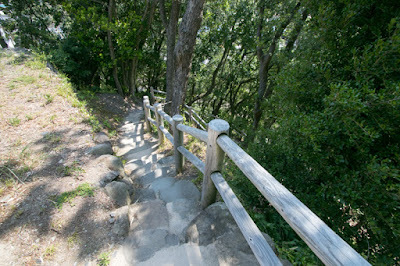 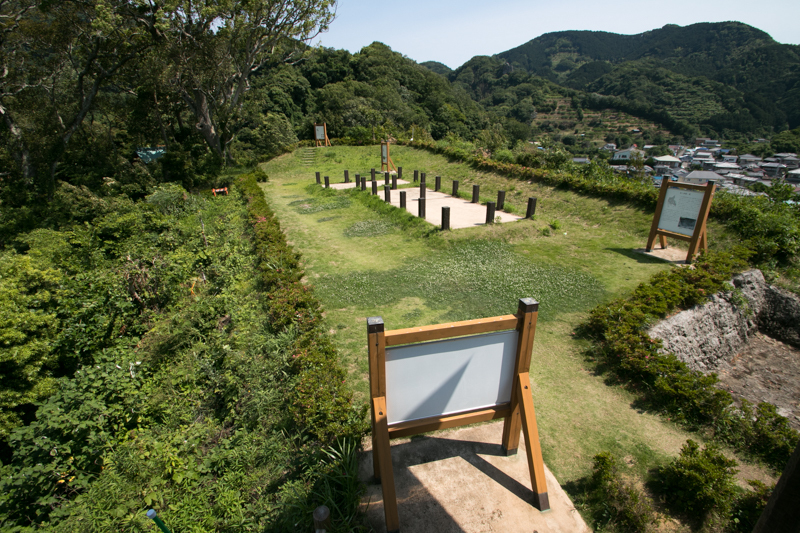 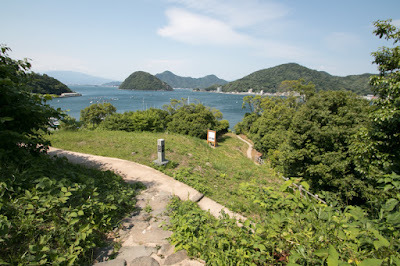 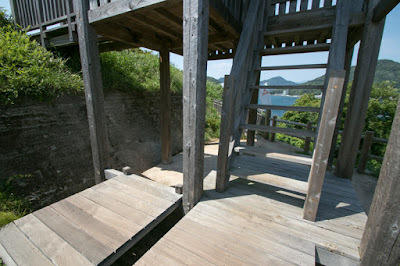 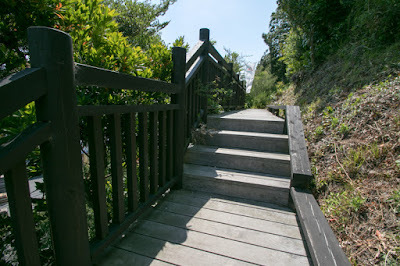 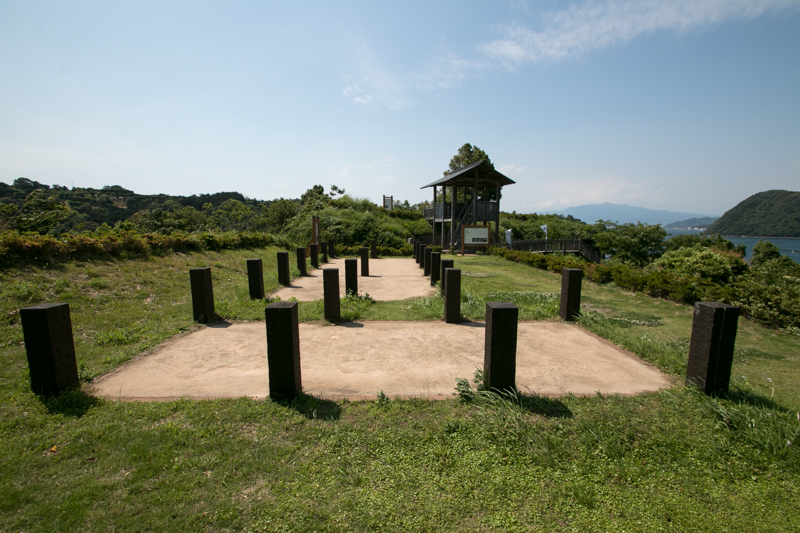 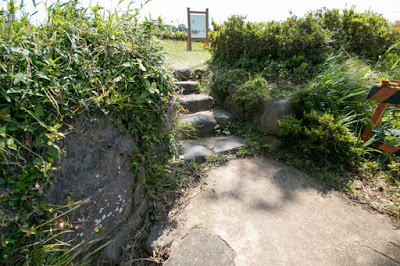 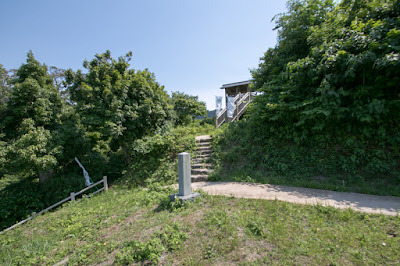 At the top of the castle inner we can see the inner area of Surugawan bay directly, including Numazu castle (Sanmaibashi castle) which was a base of Takeda clan. 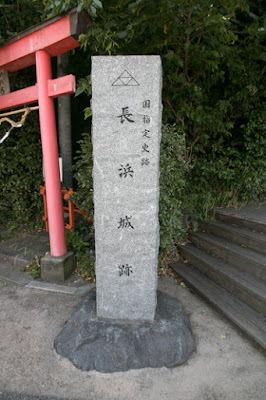 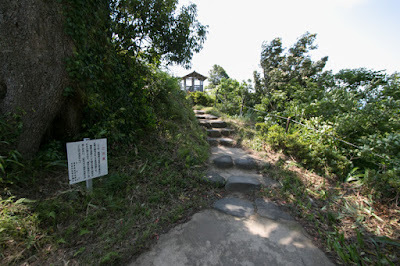 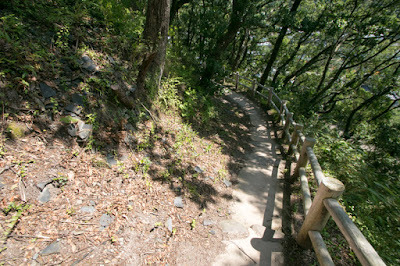 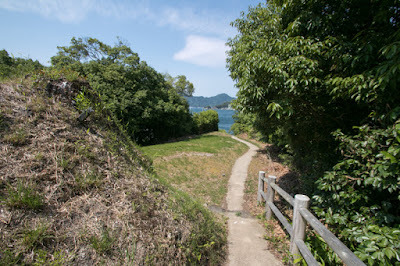 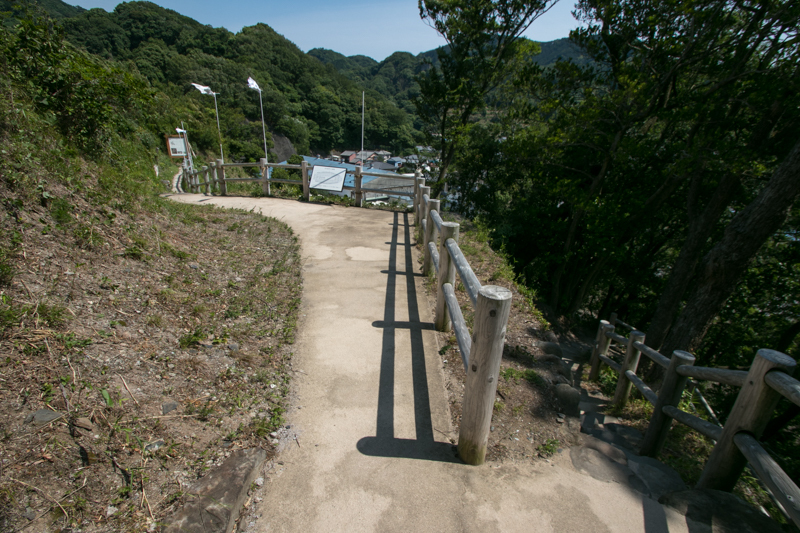 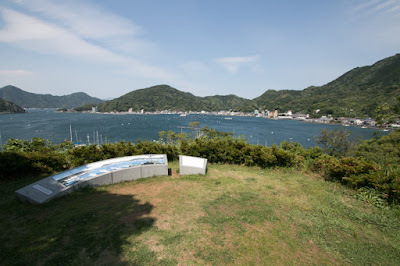 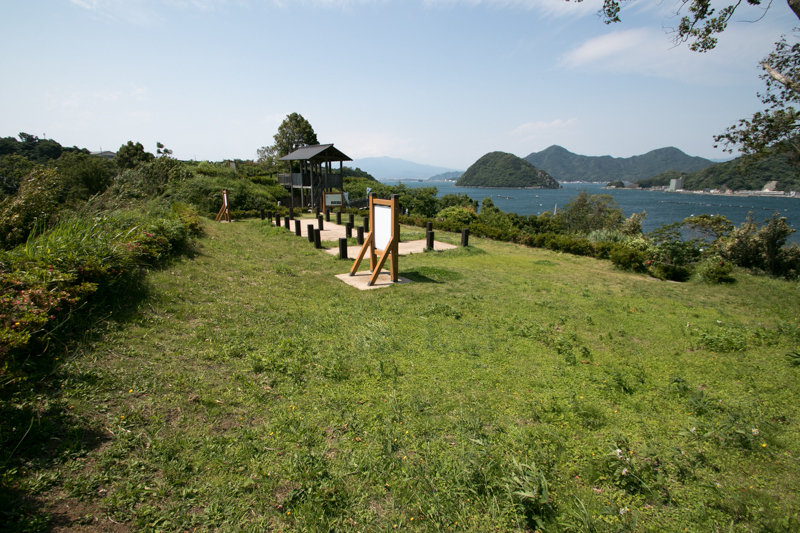 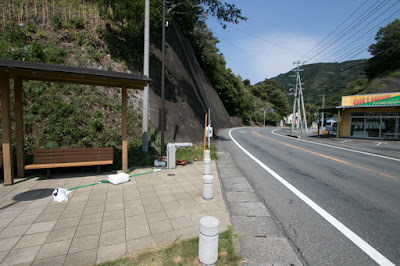 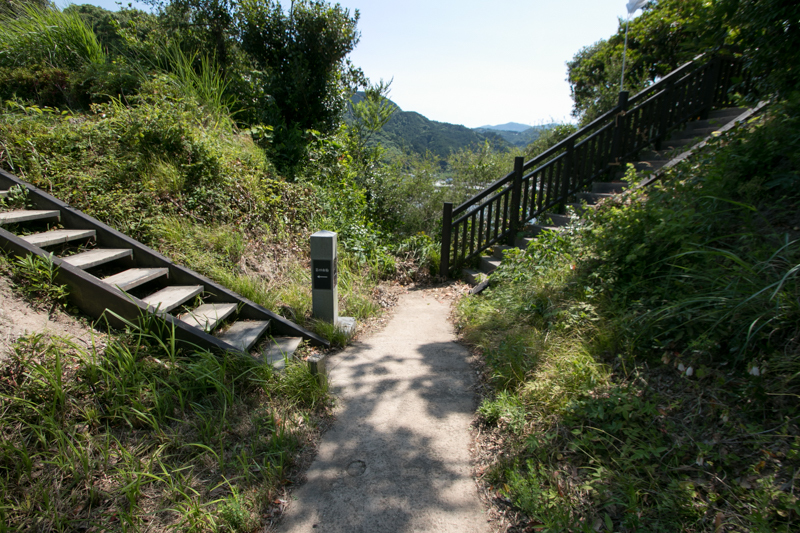 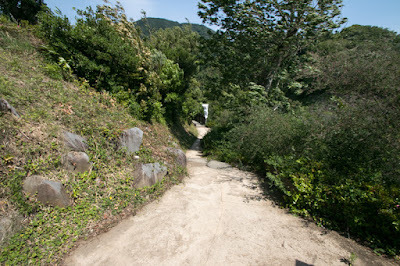 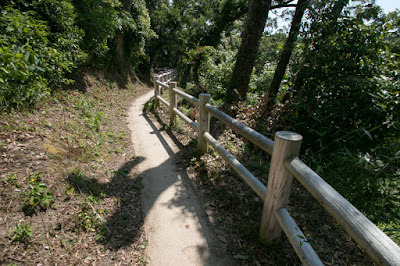 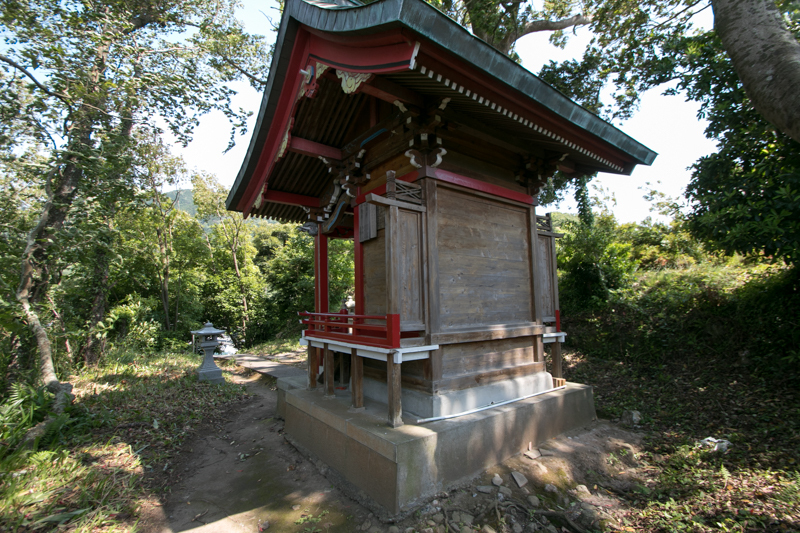 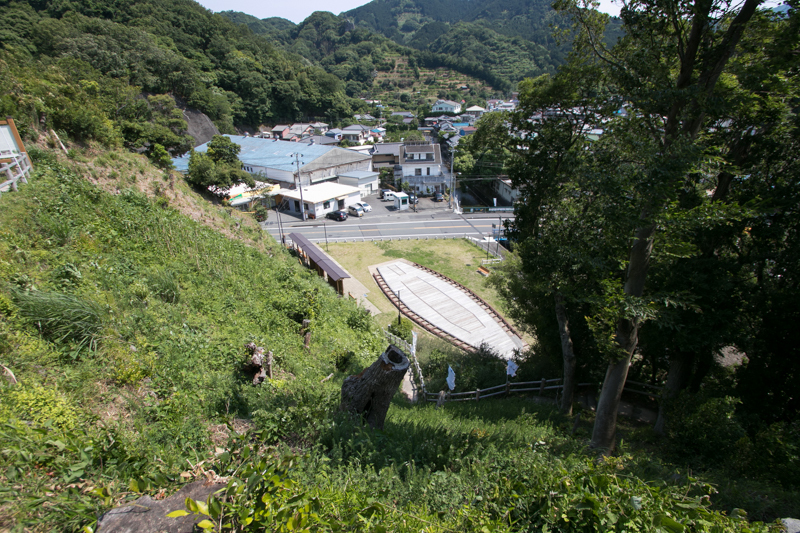 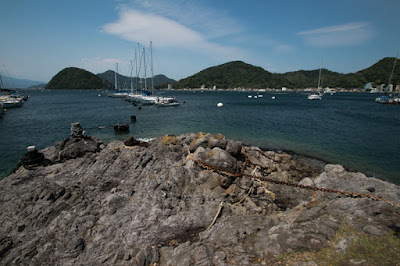 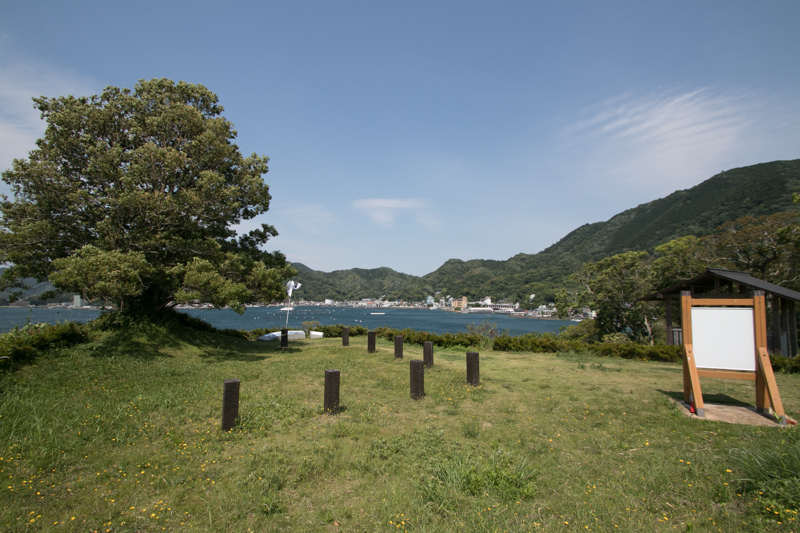 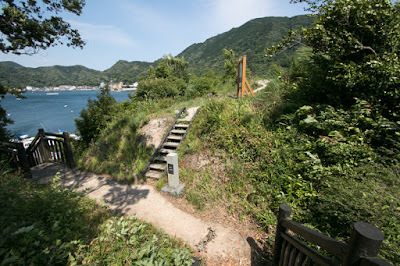 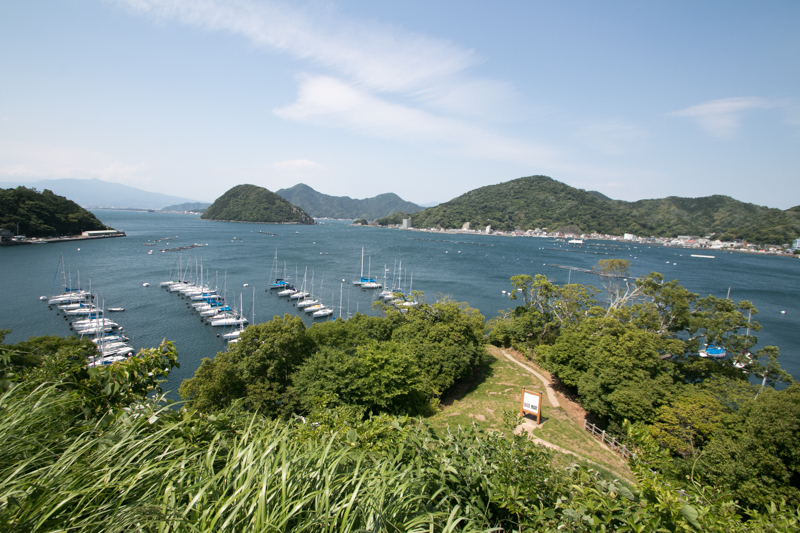 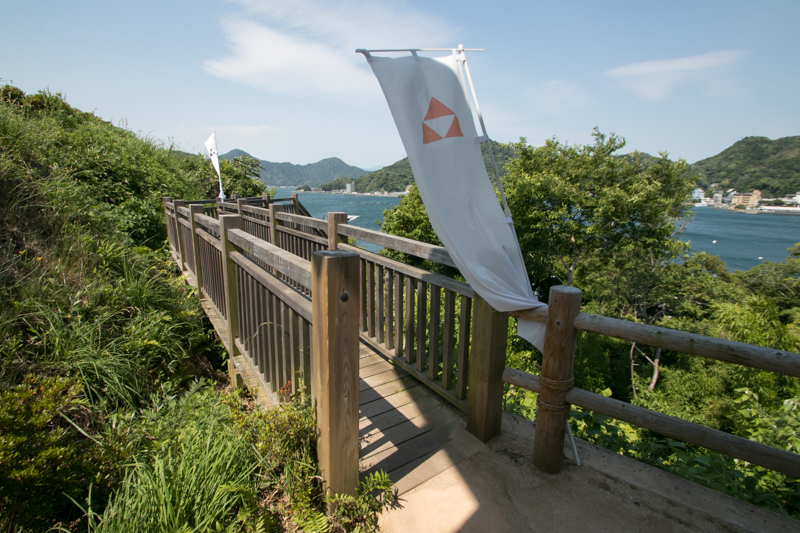 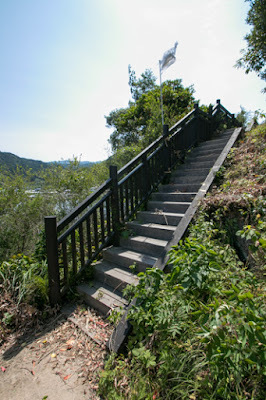 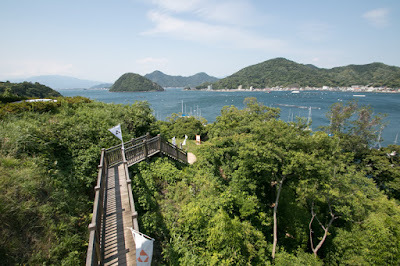 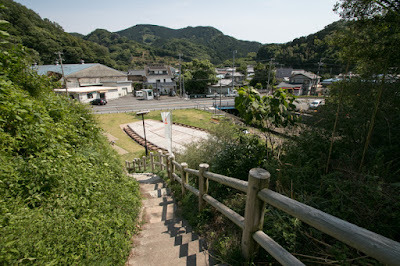 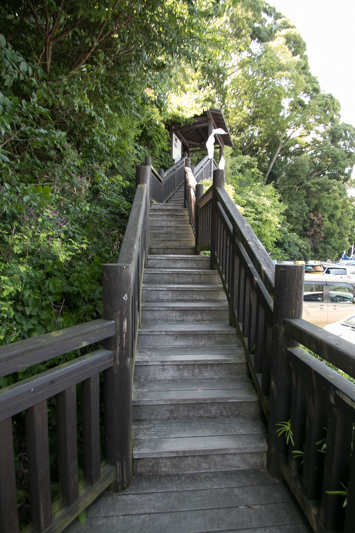 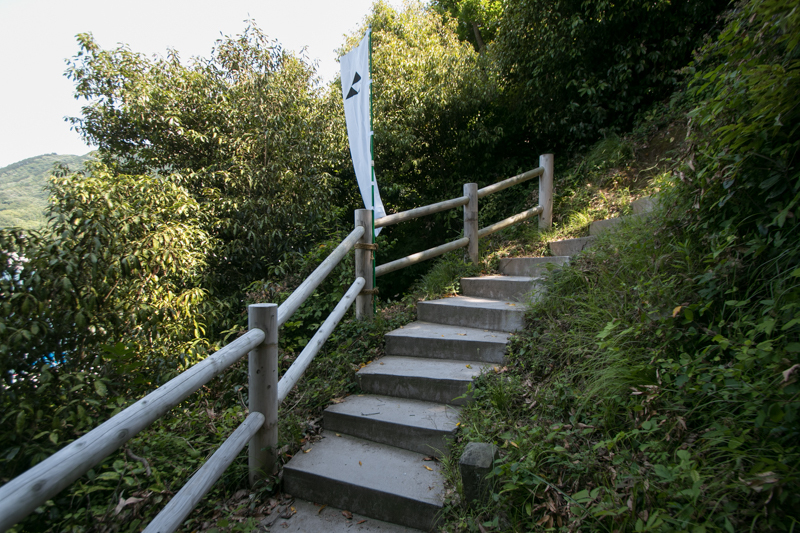 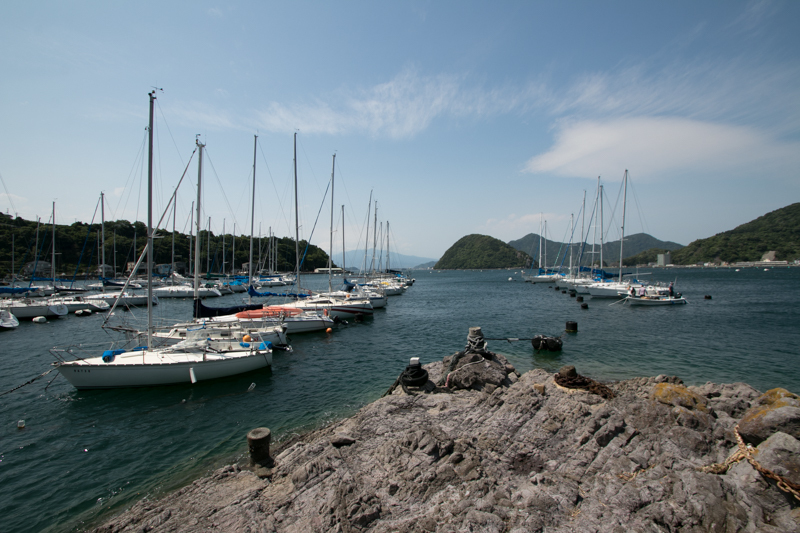 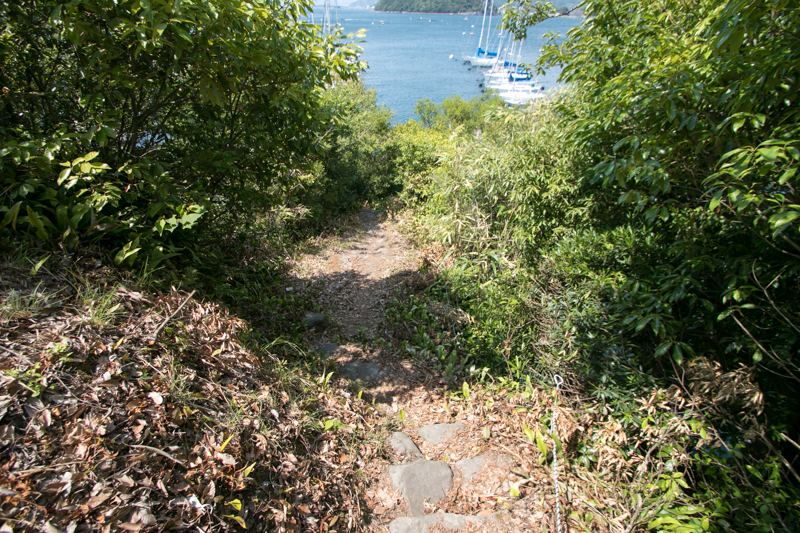 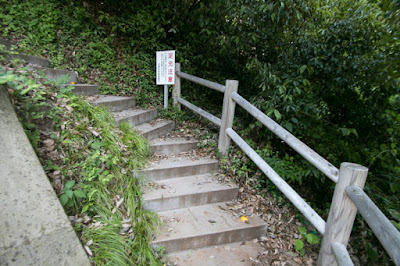 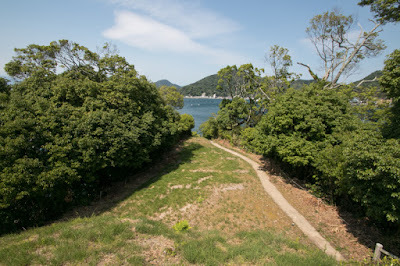 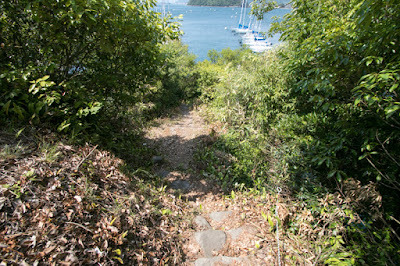 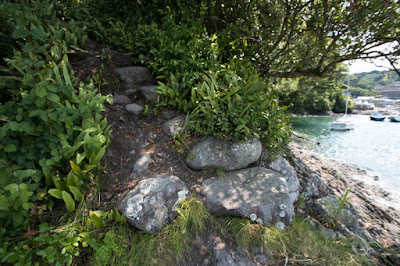 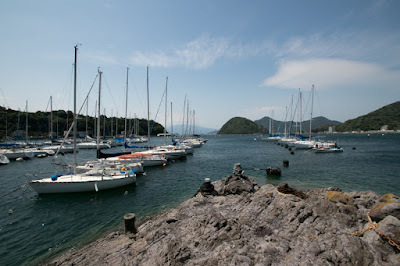 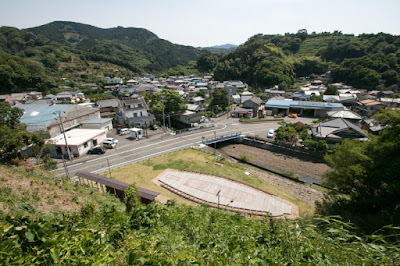 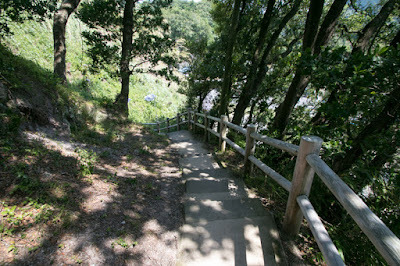 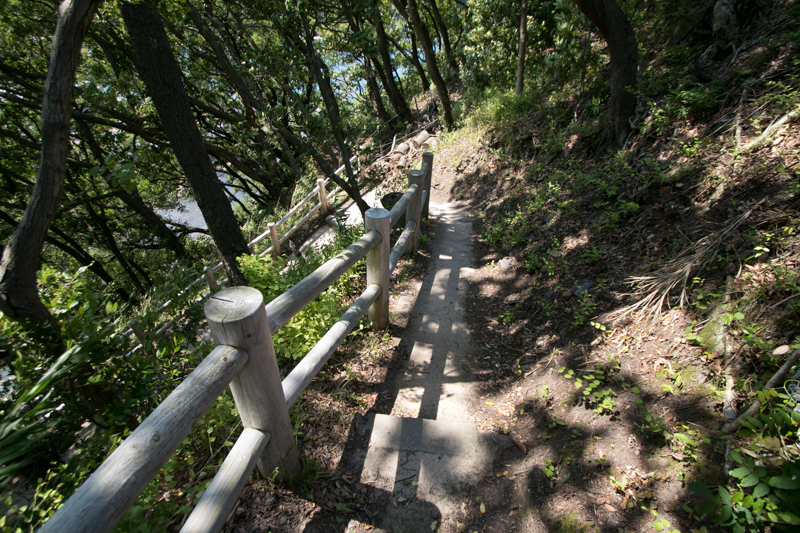 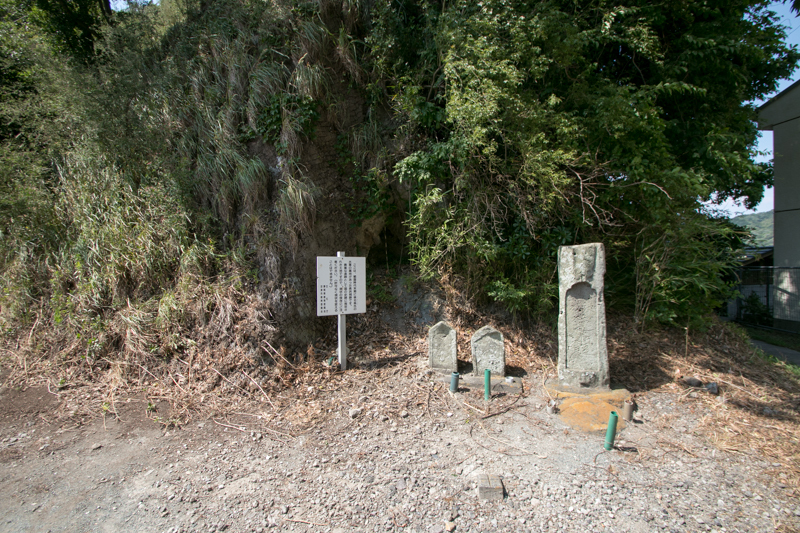 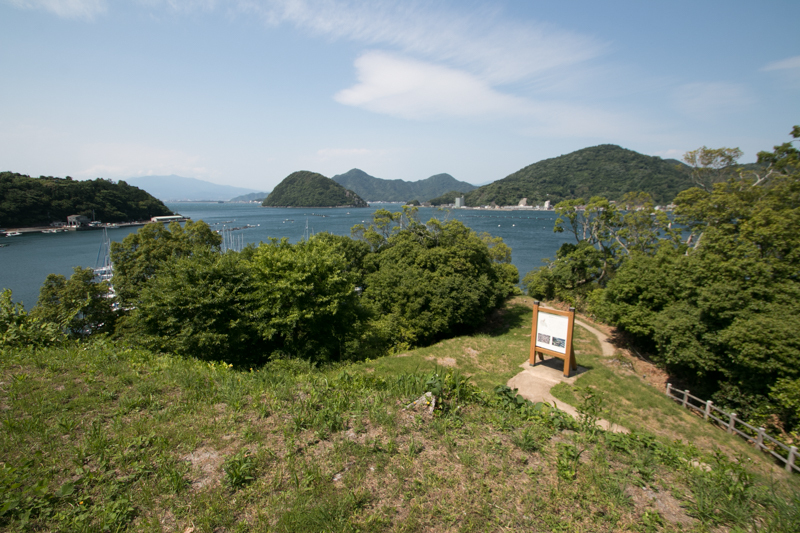 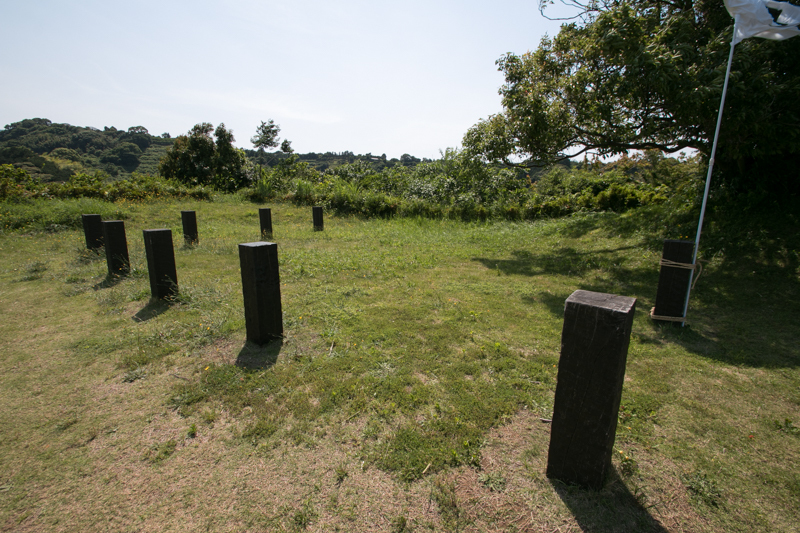 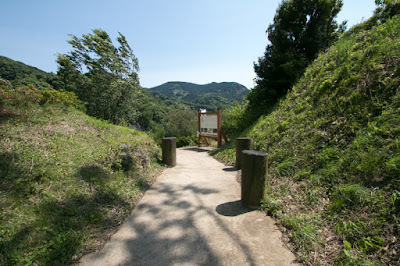 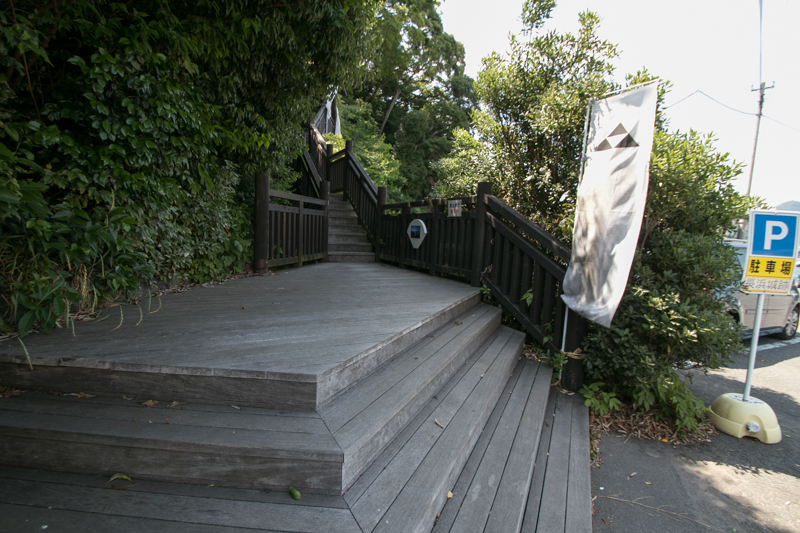 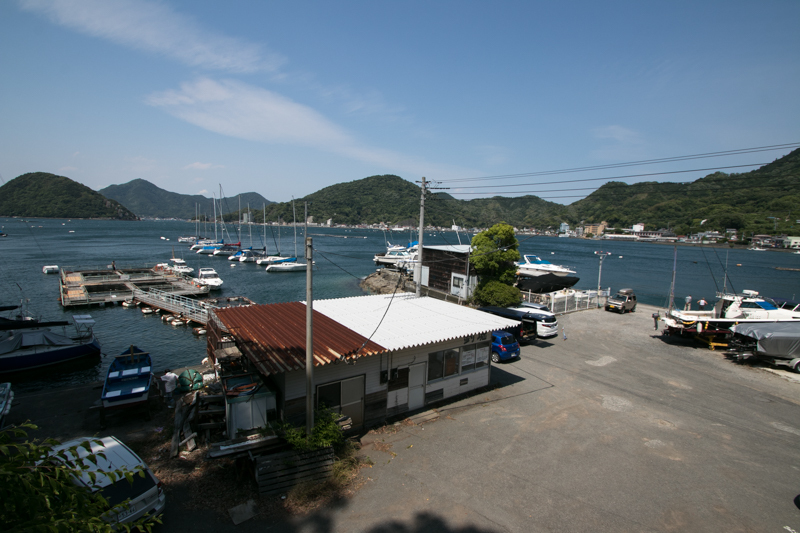 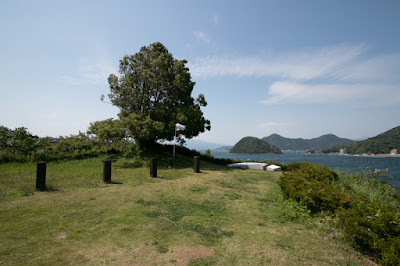 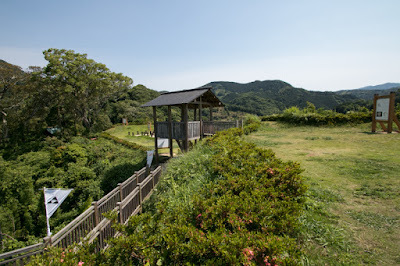 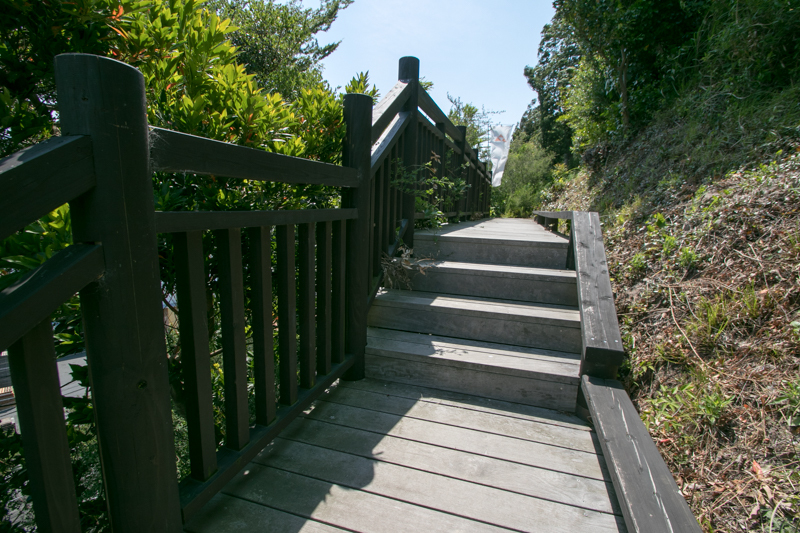 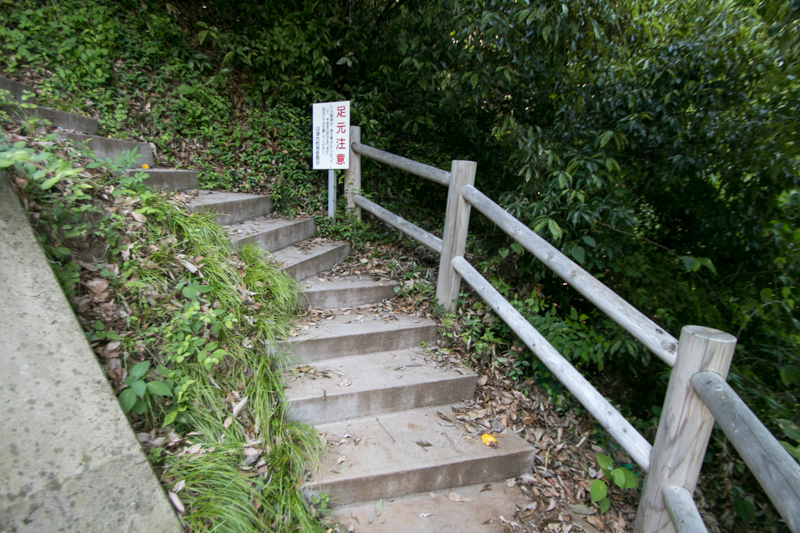 Until the extinction of Takeda clan in 1582, both power continued naval battle in this area. 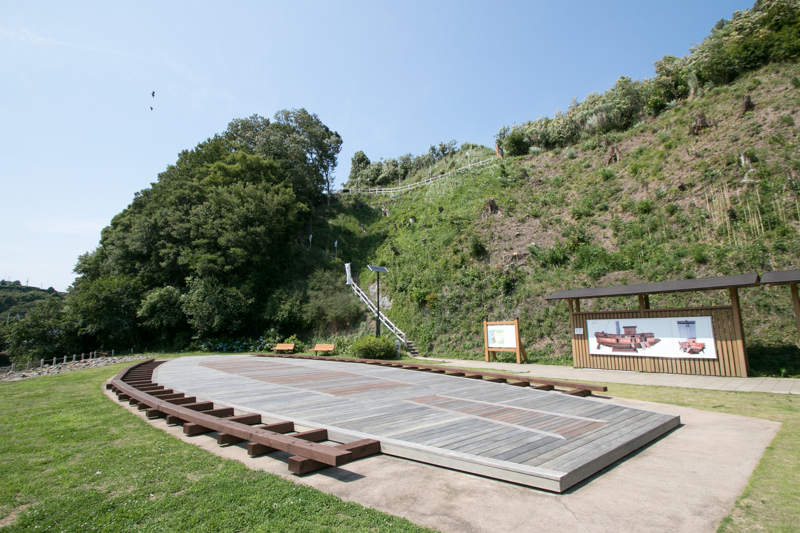 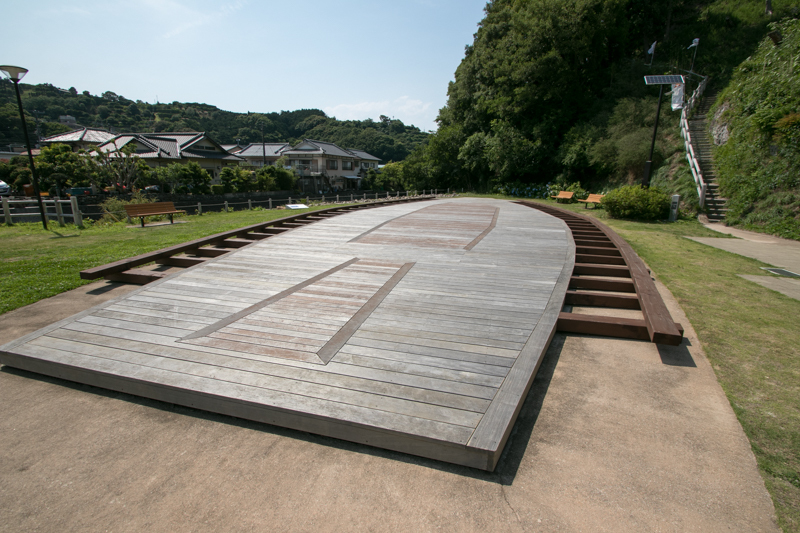 In 1580, there was a large battle between both side ships near Senbonmatsubara, and even though both side could achieve definite victory, the situation basically stand under supremacy of Hojo clan. Hojo navy held down Takeda navy and did not let them to free action. 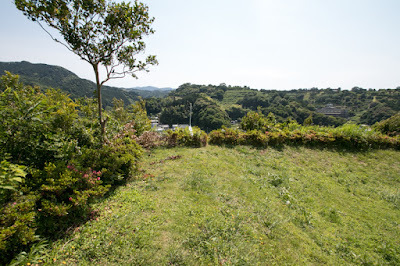 In 1582, Takeda clan was extinguished by Nobunaga Oda (1534-1582) and tension of this area was temporally released, but Hojyo clan had to face the much stronger central power. Especially Hideyoshi Toyotomi (1537-1598), the successor of Nobunaga, seized two strongest naval powers of Japan. 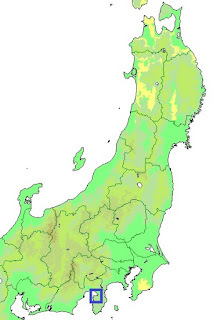 One was Kuki navy, a navy of Shima country (southern part of Mie prefecture) grew under Nobunaga and another one was Murakami navy, the navy of Setonaikai ocean and under Mouri clan. 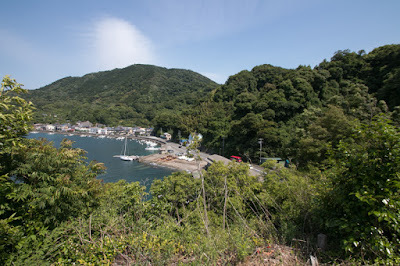 Facing this overwhelming naval enemy far stronger than Takeda clan, Hojo clan built a huge naval base at Shimoda city, at the edge of Izu peninsula, to prevent intrude of Toyotomi side navy into their vital area. 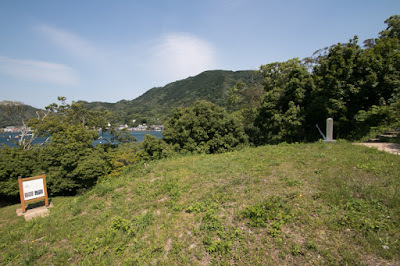 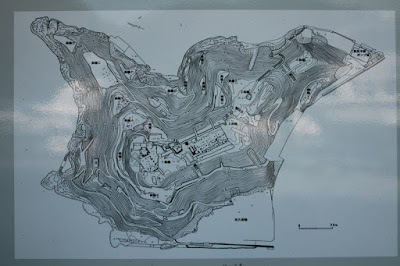 But during Odawara campaign by Hideyoshi against Hojo clan in 1590, due to significant gap of power, Hojo navy which was encircled at their base Shimoda castle (Shizuoka prefecture) could not do anything and surrendered. 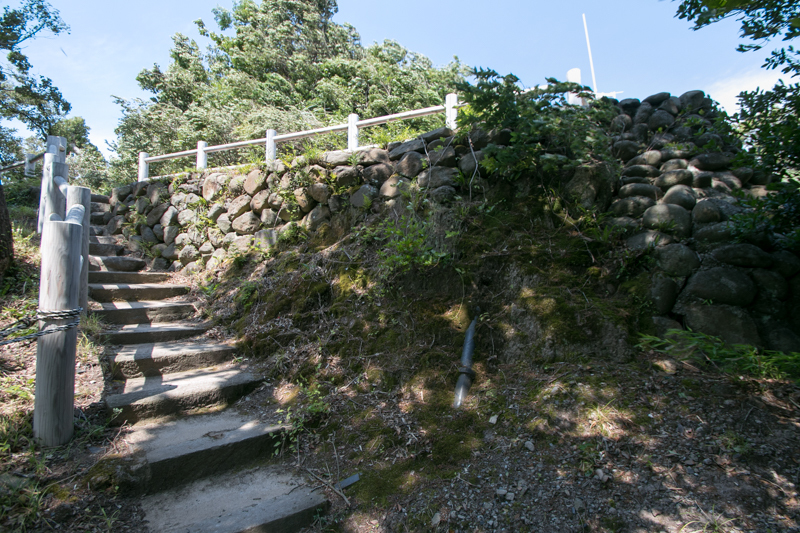 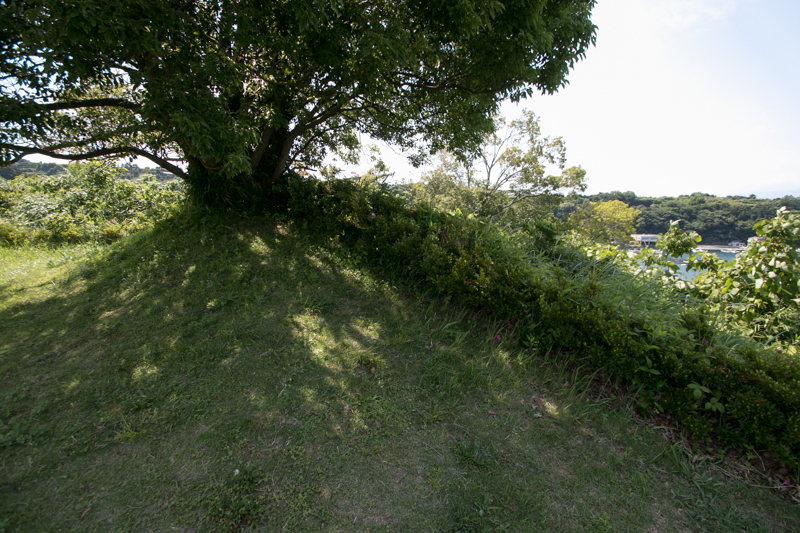 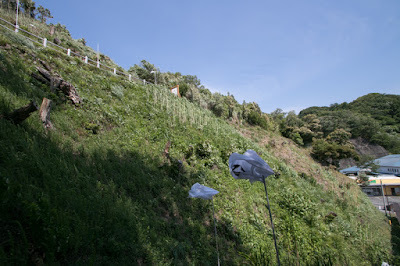 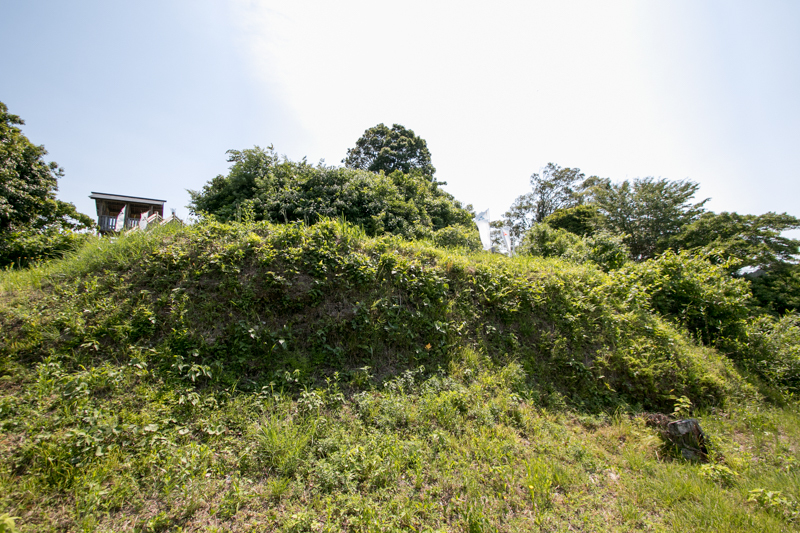 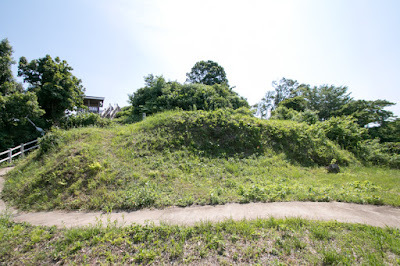 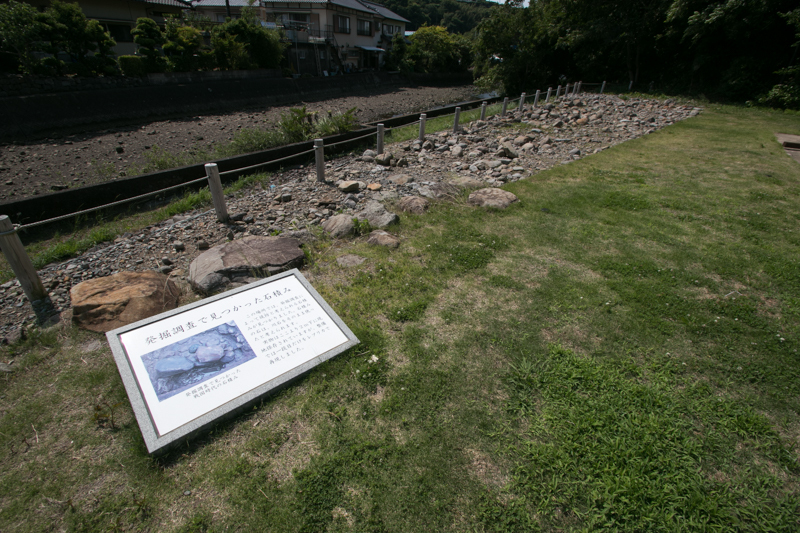 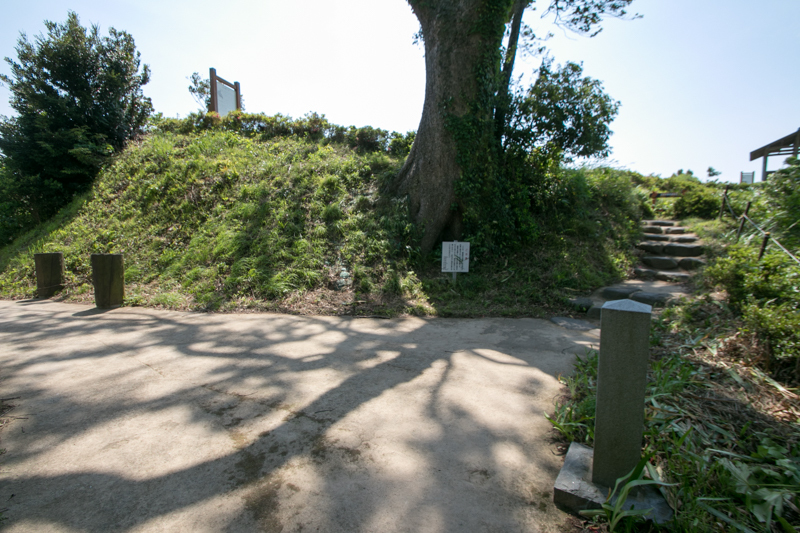 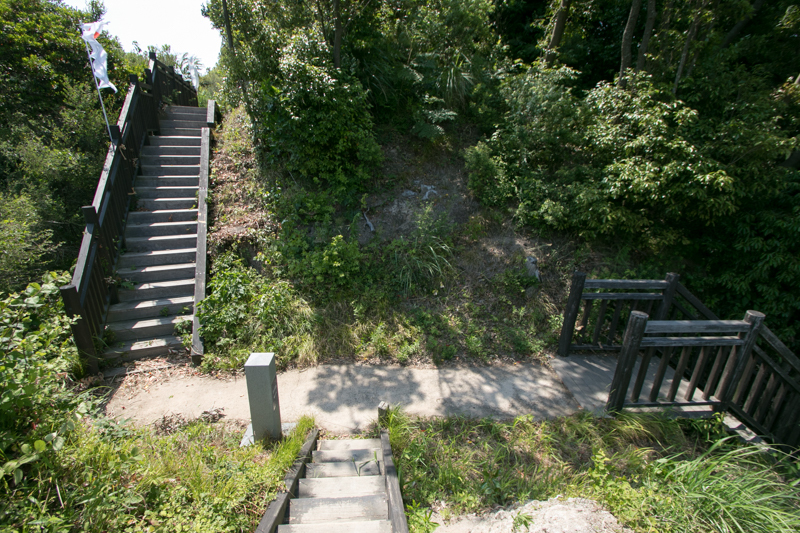 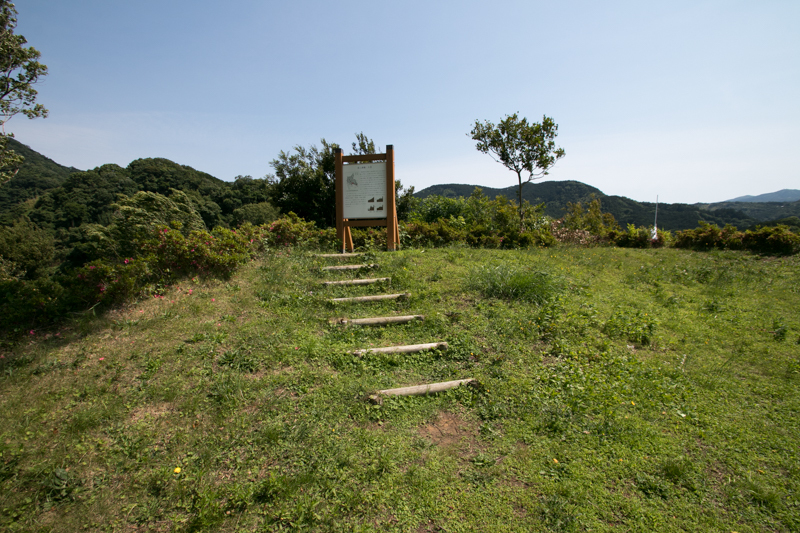 Along with the disappearance of Hojo navy, Nagahama castle was also abolished. 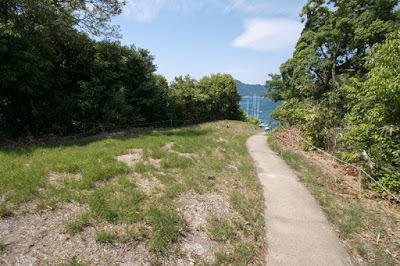 Today ruin of Nagahama castle still looks down blue ocean, and sea area around the castle was used as an anchorage of yachts. 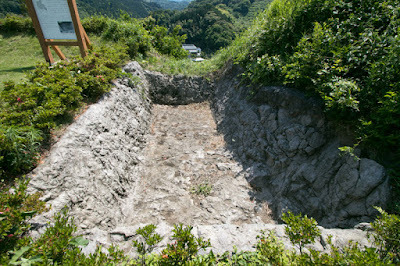 Recent investigation revealed many fact of the castle, and now improvement of site as historical park is proceeding. 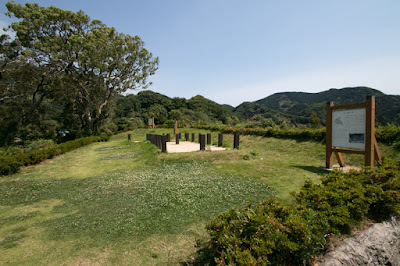 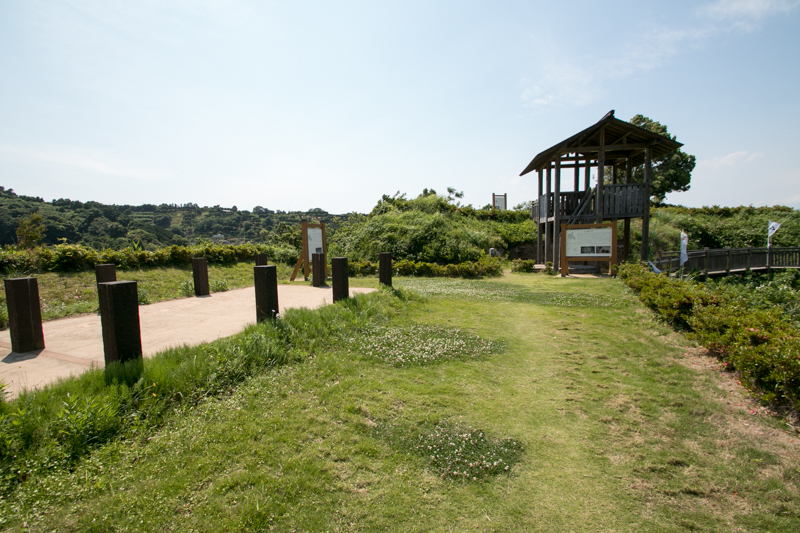 15 minutes drive from Izu-Chuodo Toll Road Nagaoka-kita interchange.